‘Alone we can do so little, but together we can do so much’ – Professor Dr Abul Kalam Azad, Director General of Health Services rightly quoted in his inauguration speech during the International Conference on ‘Data for Decision (D4D) in Health’. Bangladesh has become a shining example of the value of global collaboration in strengthening health information systems. 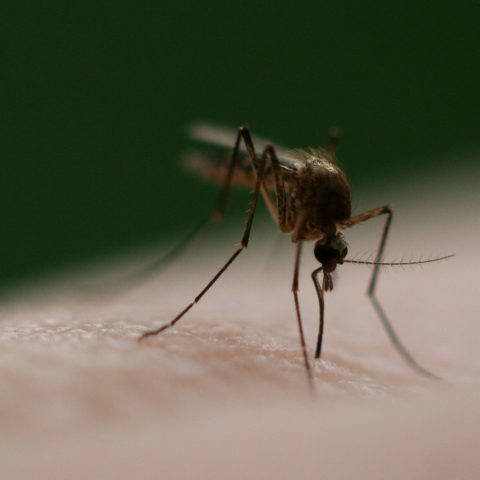 The recent ‘D4D in Health’ conference reported on here is just the most recent iteration of an ongoing process of cooperation in global public health. In June 2015, the World Bank Headquarters hosted a summit titled ‘Measurement and Accountability for Results in Health’. It was the first step in developing collaborative partnerships between members of the global health community in the field of health data. South Africa and Bangladesh were co-sponsors of the summit convened by USAID, WHO and the World Bank Group. Attendees articulated the importance of creating a unified framework for measurement and accountability in the health sector. 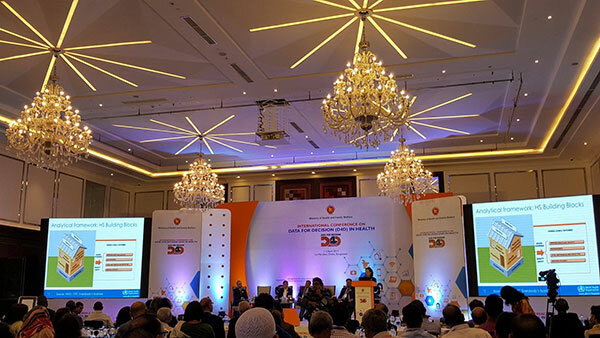 In October 2015, the ‘Conference on Measurement and Accountability for Health in the Asia Pacific’ and ‘Asian eHealth Information Network (AeHIN) 4th General Meeting’ were held in Jakarta. The conferences in Indonesia focused on investment planning, implementation of scalable Monitoring & Evaluation (M&E) systems, health information systems and e-Health solutions. It was decided at this time that Bangladesh would host the first ‘Regional Conference on Measurement and Accountability’ in April 2016, which was conducted successfully. 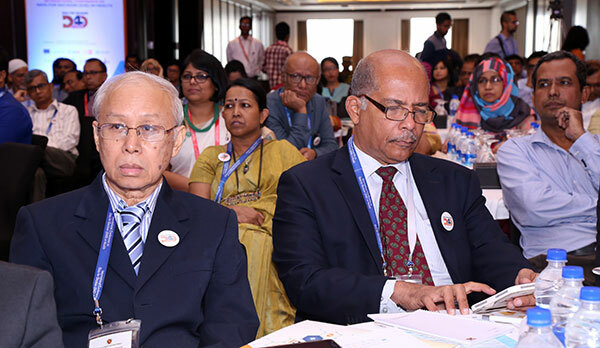 Within just one year of this meeting, the Directorate General of Health Services (DGHS) organised the ‘D4D in Health’ conference in Dhaka. The conference was conducted from 1-3 April, 2017 with support from the European Union, the SHARE project of icddr,b, UNICEF, UNFPA, the WHO, Vital Strategies of Bloomberg Philanthropies, Measure Evaluation, the USAID-funded SIAPS program, the Access to Information Programme and HISP Bangladesh. Development is a collaborative process. 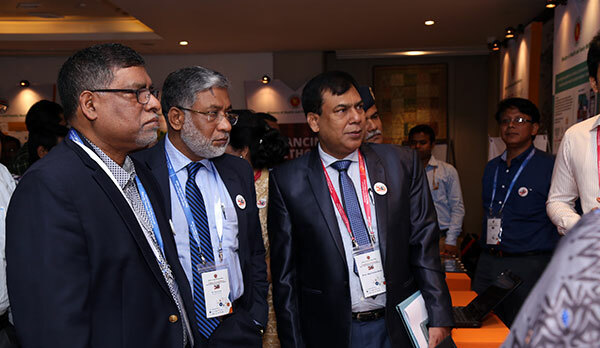 The D4D conference created defining moments for Bangladesh to apply enduring experience and knowledge of national and global partners in strengthening health information. This collaborative journey started in 2009 when an integrated approach was initiated for developing a well-functioning health information system. With GIZ support, the Ministry of health and Family Welfare (MoHFW) developed a central electronic data repository for national health data, using DHIS2 (a free and Open Source health information system developed by University of Oslo) with the aim of bringing together data from various systems into a unified framework. With support from different development partners like the European Union, icddr,b, GIZ, UNICEF, and DFID, DGHS is conducting capacity building training on DHIS2 use for health managers, IT professionals and statisticians in all administrative divisions of Bangladesh. This will help them to improve skills in data analysis, interpretation and data representation techniques in DHS2 (including pivot tables and GIS mapping).These capacity building initiatives were discussed in the recent D4D Conference. Data management for family planning programmes was also addressed in the Conference, showcasing how the Family Planning Department uses logistics data to manage procurement and demand forecasting to optimize distribution of contraceptives at service delivery points. With USAID support, the Ministry has improved decentralized decision making in reducing stock-out, inventory management for all family planning methods, and increased the availability of modern contraceptives which are contributing to reduce unintended pregnancies and prevent maternal deaths. The D4D Conference also showcased how investments by the MoHFW have developed systems such as the Human Resource Information System (to manage human resources delivering health service), ‘Shastho batayon’ –(a health call center to get free medical consultation from medical doctors) and an integrated media monitoring tool which organizes all health news published in national media. Other significant initiatives undertaken by the DGHS include open display of aggregated health data and the development of a web-based Local Health Bulletin for each health facility. A central health information dashboard has been added to the DGHS website, where anyone can freely view the status of different health systems throughout the country. This allows decision makers to monitor the distribution of health worker force and re-allocate scarce resources in an efficient, evidence-based manner. 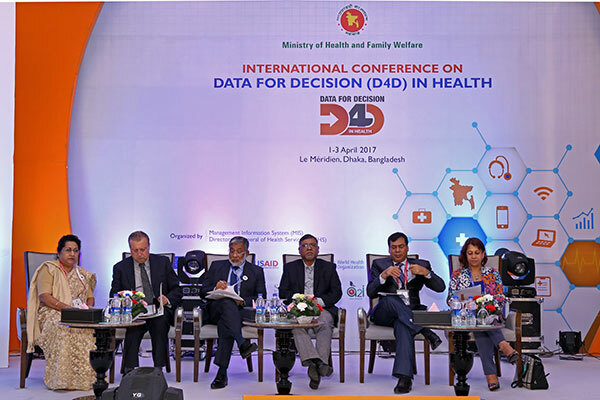 The technical session of the D4D conference focused on the importance of routine (standardized) health information systems and allowed attendees to share global experiences on combining routine and non-routine data for the management of health services. In this area, the mobile phone-based SMS complaint and suggestion system implemented by the DGHS was highlighted as an example of local innovation to facilitate citizen-driven accountability in health management. The Quality Improvement Secretariat and health managers are directly involved in efforts to improve service quality based on this SMS driven system. Ø Inadequate IT infrastructure, lack of incentives, lack of integration or interoperability between existing software, weak feedback mechanisms and poor data governance have been identified as obstacles to improved health information systems. International participants from 15 countries including USA, UK, France, India, Sri Lanka, Congo, Lao PDR, Netherlands, Germany, Myanmar, Haiti, and Norway attended the conference and visited the management information system of DGHS, its local health bulletin and national data centre, and participated in interactions with district and upazila level health managers through video conference as part of their regular monitoring system with DGHS. International participants also visited the Government Employee hospital in Dhaka and the Kaliganj Upazila Health Complex in Gazipur district to inspect individual patient records collected under the hospital automation process through Open MRS software, as well as inspecting the process of birth and death registration through the vital registration system. For icddr,b and other development partners, the D4D Conference created a space to highlight global and regional progress to date in strengthening health information systems, showcase e-health innovations through marketplace, present the country status on ensuring access to information and data visualization. The conference successfully brought together government officials, development partners, leaders from the private sector, academicians, researchers, civil society, media and other national and international stakeholders. We still have a long way to go before the vision of integrating health data culture with health policy presented at the D4D conference can become a concrete reality in resource-deprived settings like Bangladesh. We need to invest more in strengthening capacities for data collection and management. Increased alignment between disparate stakeholders is needed to build country health information systems that can deliver truly accountable and effective health services in line with the UN Sustainable Development Goals. Bangladesh has already made remarkable progress in achieving the Millennium Development Goals, especially in reducing maternal and child mortality. This success was achieved through a combination of global cooperation and unwavering commitment to the principles of evidence-based health policy. By highlighting the urgency of improved health information systems for designing and implementing public health, the D4D conference carried the spirit of this progress forward.